Four pack of traditional New York-style kettle boiled pizza bagels. With Seattle Bagel Bakery’s Pizza Bagel, you no longer have to eat a cold slice of pizza for breakfast. Made with local, high-quality flour that’s then topped with Italian seasoning, basil, garlic, and smothered with mozzarella cheese. The Tukwila-based bakery uses the traditional method of kettle boiling in small batches giving it a crisp outer shell and chewy texture inside. Note: Shelf life is 5 days from date of receipt. 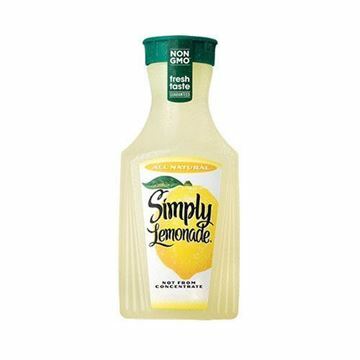 Simply Lemonade - 52 oz. Refreshing, all-natural lemonade infused with sunshine. 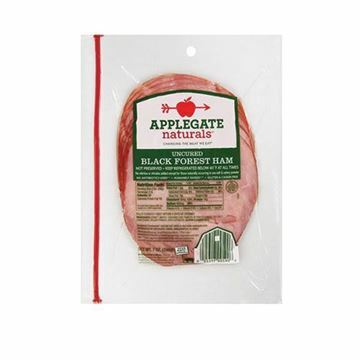 Applegate Naturals Black Forest Ham - 7 oz. Hearty smoking brings a classic German tradition to your sandwich. Tillamook Sliced Pepper Jack Cheese - 12 oz. Award-winning pepper jack cheese already sliced for your convenience. Seattle Bagel Bakery Roasted Jalapeno Cream Cheese - 9 oz. Add a bit of kick to your morning routine with this roasted jalapeño cream cheese. Small Curd 4% Cottage Cheese - 1 lb. For a satisfying breakfast, start your day with this creamy cottage cheese. My kids love these bagels. They are great unadorned, with a tasty schmear or stuffed with meat, cheese and veggies for a full-flavored sandwich. These pizza bagels warmed up even adding more cheese melted over the top is a wonderful quick snack!!! I am surprised how good these are!!! So good! Love making pizzas with them! These bagels were bad! They are greasy, yet seem to skimp on the cheese and sauce. Also, it was undercooked and doughy. Has turned me off of the brand. So good especially toasted. My family loves them! Paired these with the garlic cream cheese and it is phenomenal! Can’t go wrong. A little on the expensive side though.